Lock in a great price for Byrkjedalstunet – rated 8.8 by recent guests! The room was great, looking out over the goats. Restaurant dinner was very good, all homemade and breakfast had many selections. 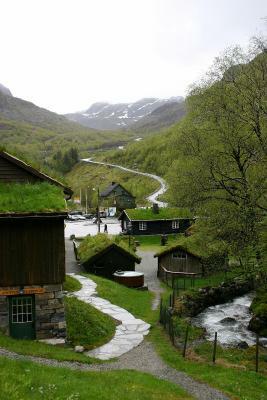 Very nice place, grassy roofs, picturesque. Excellent breakfast with an asortment of Norvegian specialities, including salmon, cheese, different breads and jams. We had nice big room for 4. Rich breakfast. Quiet neighborhood. Friendly staff. Clean rooms. Goats on yard. Candle shop and bakery. This property is beautiful. 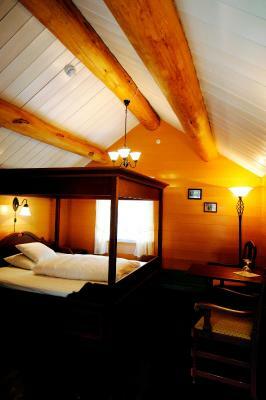 It is the quintessential Norwegian lodge with grass tuft roofs and the freshest tap water from their spring on site. The room was very cozy with a large bathroom and a great view. The restaurant on site was tasty and served traditional Norwegian dishes. They also have a delightful gigantic candle making shop on site. All of the staff were super friendly. 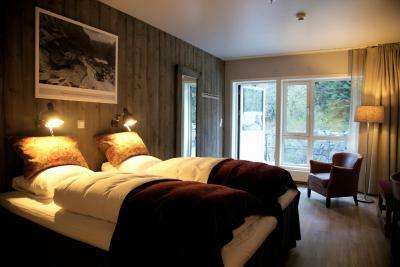 It is a perfect spot for a peaceful stay and is a good location from which to hike to Kjeragboulten. The staff is nice and especially prepared breakfast for me because I had to leave early. The staff is real nice. And the breakfast was great and the decoration of the place and the store was real nice and authentic. 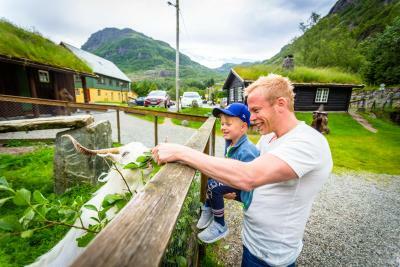 The combination of a beautiful location and nice facilities makes Byrkjedalstunet a great place to stop when exploring the Norwegian nature. The restaurant/bakery, fantastic shop and farm area complement the hotel perfectly. 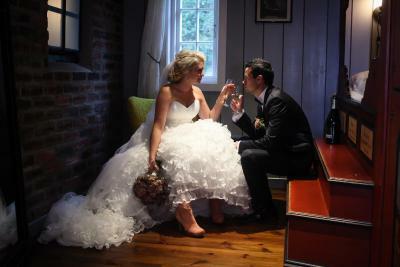 The very courteous service by the staff and the enchanted atmosphere. 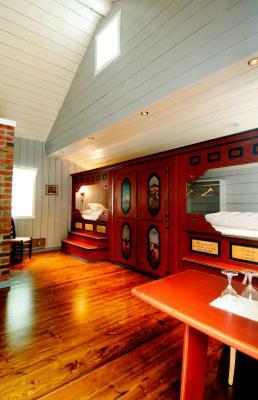 Set in historical, picturesque buildings from the 1800s, this property is 40 mi from Stavanger in Rogaland County. 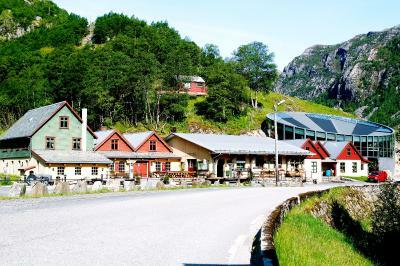 It offers free Wi-Fi and traditional Norwegian restaurant. 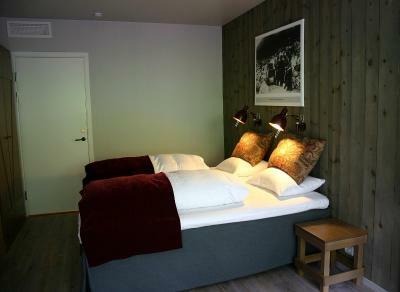 The individually decorated rooms at Byrkjedalstunet all feature a desk and a bathroom with shower. 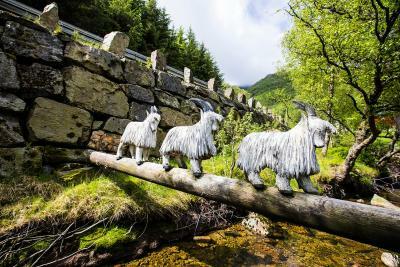 Local art, homemade candles and home interior furnishings are sold in Byrkjedalstunet’s gift shop. The hotel serves a daily breakfast buffet and also has a bar. A variety of nature activities can be enjoyed in the surroundings. 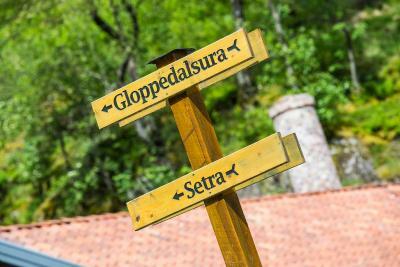 Månafossen Waterfall is 9.3 mi away, while Gloppedalsura with its avalanche boulders is 1.2 mi from the property. Lysefjorden and Pulpit Rock are 60 minutes’ drive away. This property also has one of the top-rated locations in Byrkjedal! Guests are happier about it compared to other properties in the area. This property is also rated for the best value in Byrkjedal! Guests are getting more for their money when compared to other properties in this city. 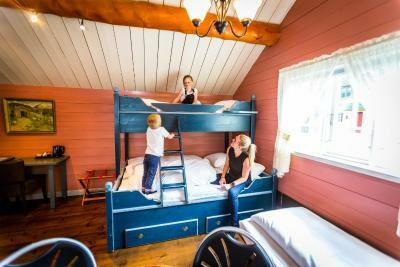 When would you like to stay at Byrkjedalstunet? 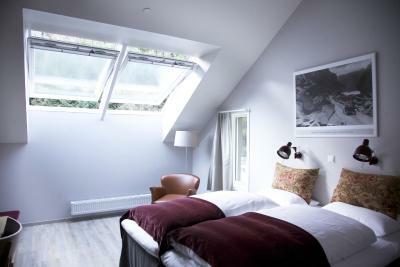 Historical, individually furnished room with a desk and a bathroom with shower. Features a seating area and a flat-screen TV. 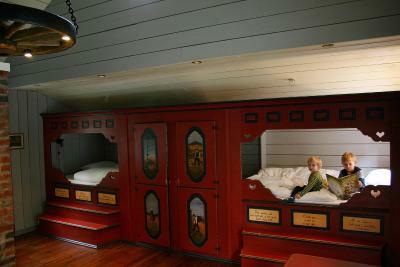 All family rooms are individually decorated. Please note that the actual family room may differ from the photos. This suite has a flat-screen TV and mountain view. 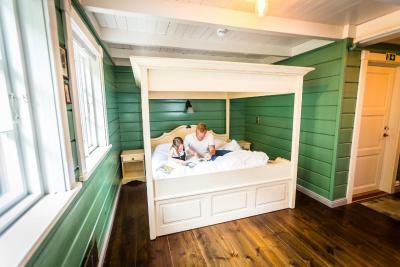 House Rules Byrkjedalstunet takes special requests – add in the next step! Byrkjedalstunet accepts these cards and reserves the right to temporarily hold an amount prior to arrival. If you expect to arrive outside check-in hours, please inform Byrkjedalstunet in advance. One thing was bad. We were informed about the price of our dogs staying too late. I think that is 300 NOK for the dog is too much. We booked 02.04.2018 and informed staff about our dog. We get en answer only at the day of our check-in 30.04.2018.
comfortable rooms and good breakfast. no laktrosefrie milk and similar products. cant live without them. I wish the staff had informed us about the construction of the tunnel, so that we would save so much time and efforts that evening. The breakfast was fantastic, with many options from smoked salmon, Norwegian cheese, fried eggs, potatoes, hard boiled eggs, homemade bread, cookies & marmalade, muesli with fresh fruit, ham... After having a hike on Pulpit rock, we were planing to take the road 45, however, a tunnel close to Dirdal was blocked, so we had to take a big round on E39, which took us around 1.5 hours more to arrive there. I informed the staff about this situation and got the instruction on how to get the key. The key was pretty hard to find, though, the staff was quite friendly on the phone and said I could call her if I had any further problem. 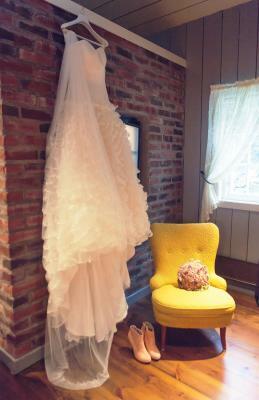 The room was really spacious and cute!